China Wireless Communications, Inc. announced that it is deploying a high speed broadband fiber network as the backbone to extend its coverage area for its Fixed Wireless Broadband Network System in Beijing. This network will make available 2.5 Gbps of capacity on a fiber network that surrounds the 66 kilometer-long fourth ring road in Beijing. The new additional capacity will support up to 100,000 business-class broadband applications that enhances Company's In-Touch Access product line with carrier-neutral "last-mile" connectivity options. 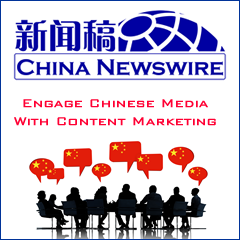 China Wireless continues to build partnership and acquisition strategies to maximize the coverage of its network in Beijing. The Company plans to replicate its Beijing model in other strategic cities in China during 2004.